This is a topic that has gathered a lot of momentum since I first blogged about it two years ago, even making the headlines in The Guardian this year! So I thought I’d re-share, as new material has been a bit sparse lately ;op (I promise, I’m working on it!). 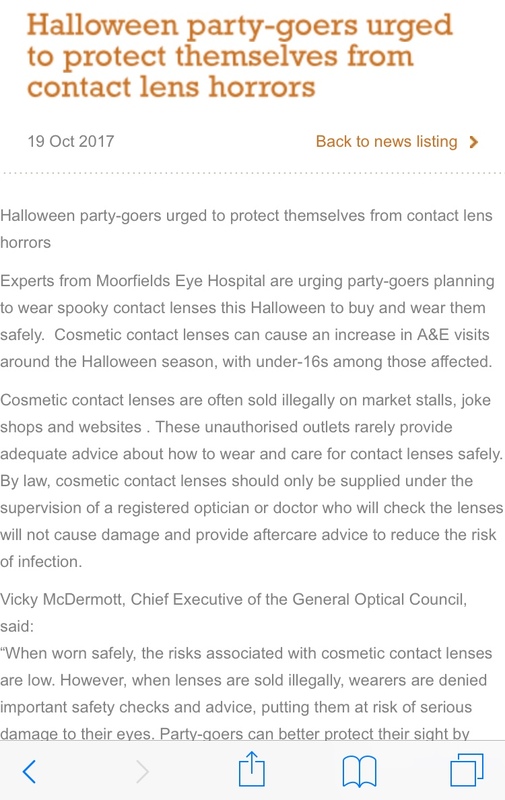 Not wanting to be a party pooper, but as discussed in my previous post "Sin No.2 - Abusing Your Contact Lenses" as part of National Eye Health Week 2015, the use of contact lenses is not to be undertaken lightly, and “cosmetic” contact lenses are no exception. They carry the same risks if not dispensed and used correctly – they are not to be considered a throwaway “fashion accessory”. 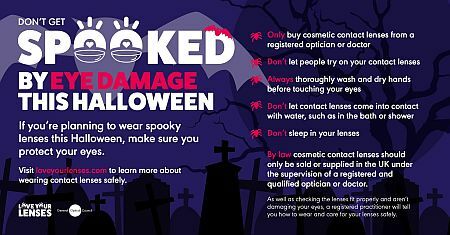 So, if cosmetic lenses are an absolute must for your Halloween costume, please don’t buy them "off the shelf", or online! Be sure to visit a reputable Contact Lens Optician, who will ensure that not only do the lenses supplied comply with British manufacturing standards, but that they fit you personally, and will advise you as to their safe usage. 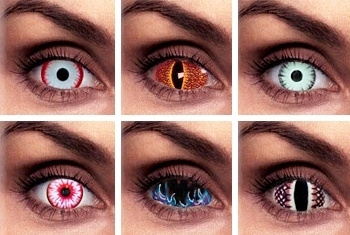 And never EVER share contact lenses!! No. No. Just NO! Diagnosed With Glaucoma? It’s Not The End Of The World, HONEST! The Hell That is “Dry Eyes” and What You Can Do About It! It’s That Time Of Year Again – Put The Clocks Back; Change The Batteries In Your Smoke Alarm; Get Your Eyes Tested! #AskAnythingAugust - You Asked, I Answered!